The Sunshine Beach House: Dreaming of the perfect guest bedroom! 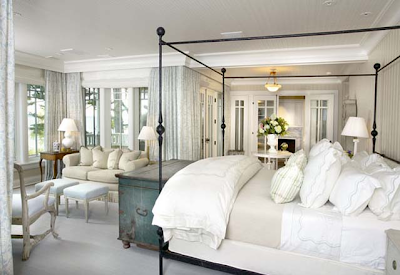 The perfect Beach House would have a guest room that inspires immediate relaxation. A place to fall into on Friday night and awake Saturday morning refreshed ready for that first long beach walk. Here are a couple of favourites! Tom Stringer Design Partners in Chicago.